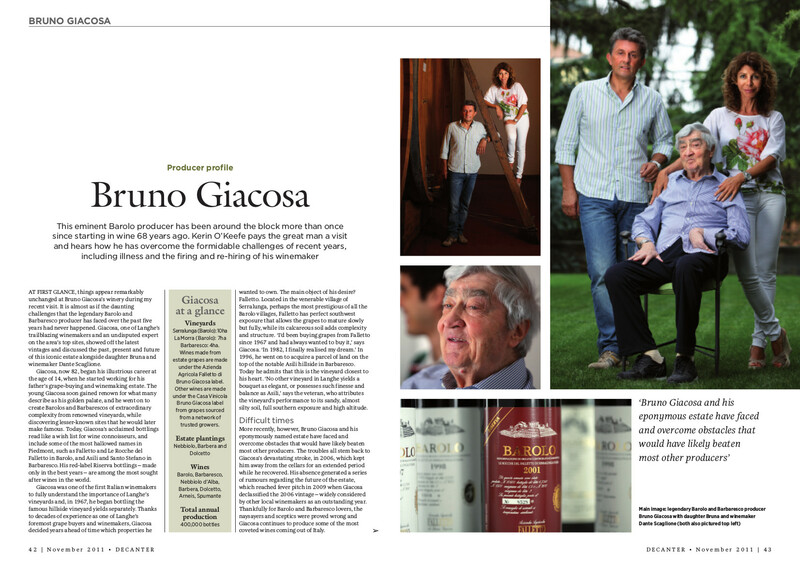 Refusing to be pigeonholed as either traditionalist or modernist, this historic Piedmontese winery is a staunch believer in blended wines, yet was one of the first to buy its own vineyards. Kerin O’Keefe pays a visit. 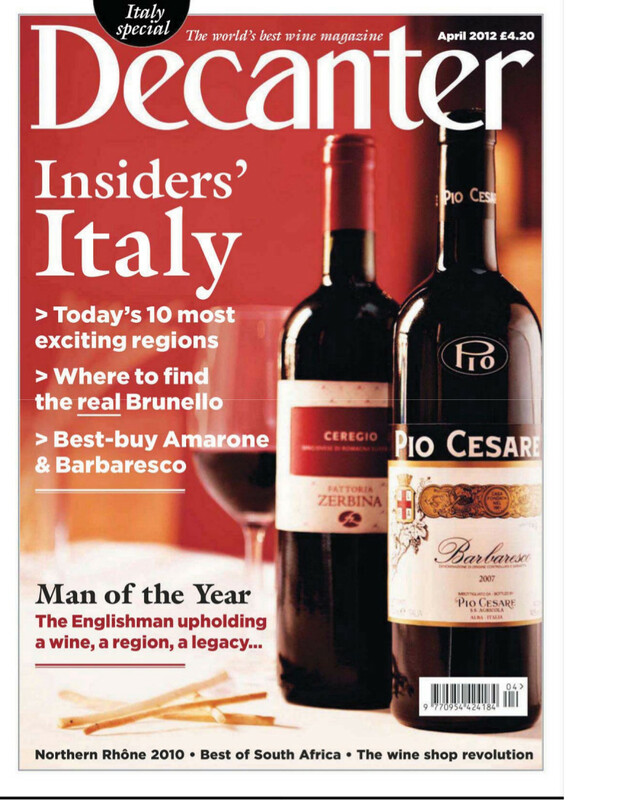 More than an understudy to Barolo, these powerful, elegant wines are stars in their own right, says Kerin O’Keefe – especially now that vineyard areas better highlight terroir. 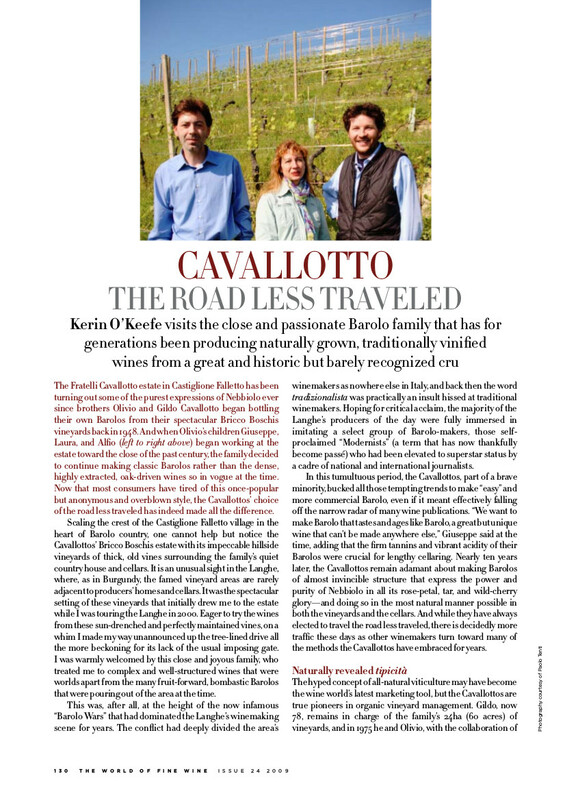 Kerin O’Keefe visits the close and passionate Barolo family that has for generations been producing naturally grown, traditionally vinified wines from a great and historic but barely recognized cru. Angelo Gaja, one of Italy’s most charismatic and successful winemakers, is credited not only with drawing Barbaresco out of obscurity but with triggering the quality revolution that pulled the country’s wine scene out of the doldrums. 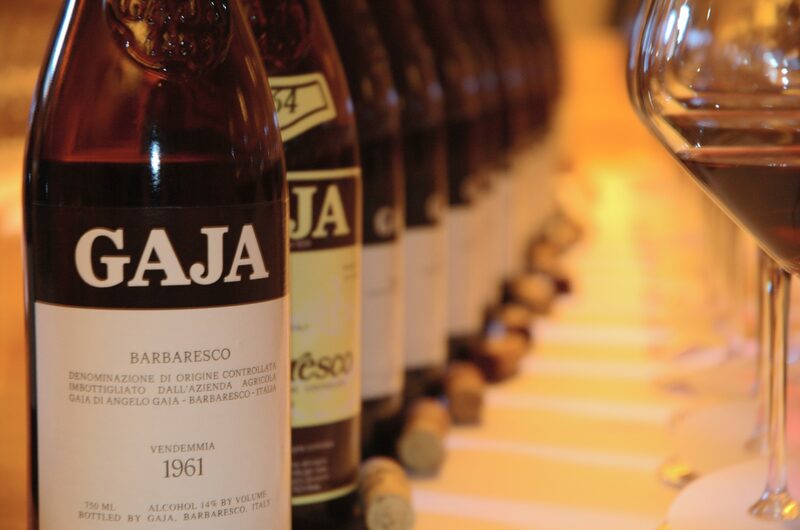 Yet while aficionados and pundits automatically associate Gaja with Italy’s modern winemaking movement and sleek single-vineyard bottlings, the great aging potential of his wines should also be remembered. 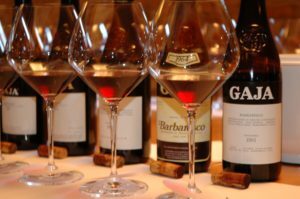 Tasting through four decades of Gaja’s Barbaresco at an informal private tasting held for this author by Angelo and his daughter Gaia on January 12, 2007, at their cellars in Barbaresco was a chance to experience Italy’s quality metamorphosis at first hand. Changes and improvements in viticulture and vinification were subtle but unmistakable, while Gaja’s hallmark elegance was evident in every bottling, like a family resemblance. 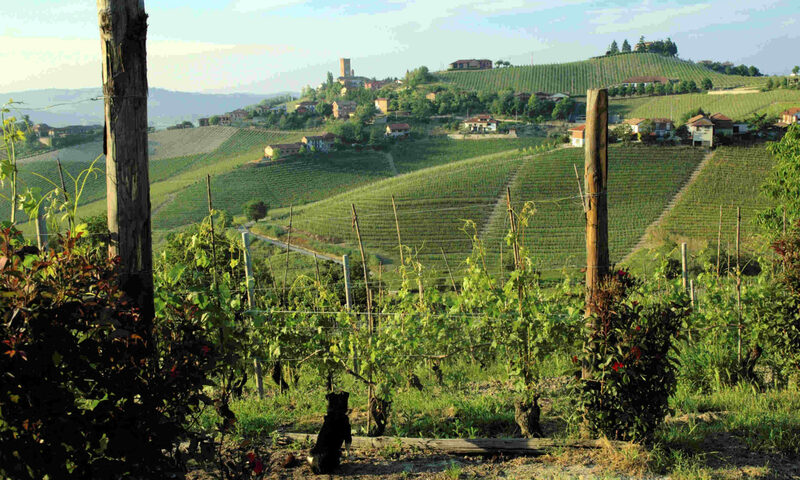 While Gaja’s fans applaud his world-class wines, cynics often claim that his modern winemaking methods have changed the tipicità of his Nebbiolo. 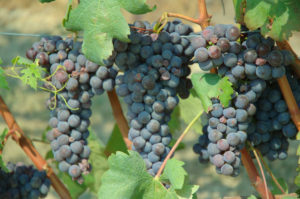 Yet these same critics often fail to note that Gaja persists with more traditional techniques whenever he thinks them worthwhile. He is among the few top producers in Italy who still resist selected yeasts for the alcoholic fermentation, except in very difficult years when, as a last resort, he will add a small amount of nutrients to feed the native yeasts. Gaja’s use of barriques has also come under fire by advocates of traditional Nebbiolo. But it should be pointed out that all his Nebbiolo wines are aged one year in barriques of various ages and one year in giant, perfectly maintained Slavonian casks that are, on average, 100 years old, so the new-wood sensations are minimal.